This is so much my favorite thing of the week, that I can’t even stand it. 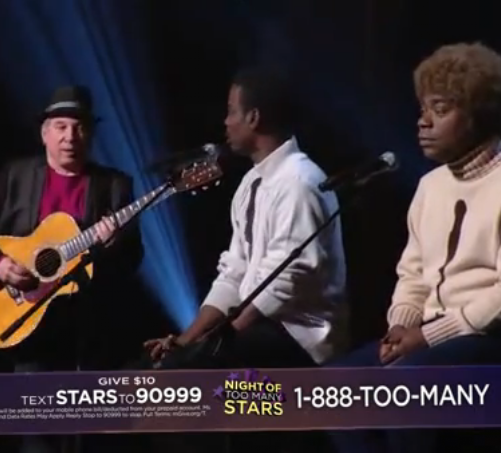 Last night on the Night of Too Many Stars charity event, Paul Simon tried to help Tracey Morgan and Chris Rock with their rendition of Scarborough Fair, but they were not having it. Then it’s auto-tune to the rescue, followed by Paul Simon attempting to rap Gin And Juice. Have I blown your mind? Love the Garfunkel wig on Tracey. More found video from the 90s. 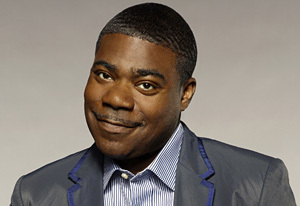 This time, it’s my hero, Tracey Jordan I mean Tracey Morgan. The late night shows might be heading on vacation, but the prime-time shows are hard at work filming for their upcoming seasons. 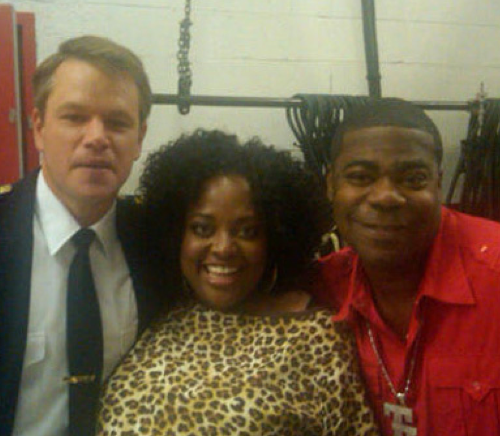 The above picture is from Sherri Shepherd’s Twitter stream. So Matt’s character is definitely coming back to 30 Rock this season. 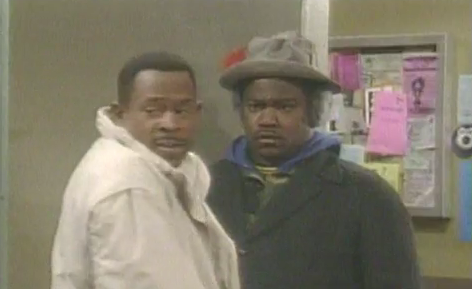 So is Tracey Jordan’s wife!